In May 2017, we finalize our activities on the framework project "20 Years - Further Development Insight". The project is intended to increase the institutional potency of the Ukrainian Climate Network organizations, currently working on the "Climate Forum East IІ" project (supported by the National Ecology Center of Ukraine, European Union, Austrian Development Agency and Rotes Kreuz). - The new edition of the Statute has been approved, Anticorruption Policy chapter and General Strategy for the period of 2017-2020. - In 2020, EHA "Green World" will become an influential, steadily expanding, self-sufficient organization, with effective reach to governing and social processes on local, regional, national and international grounds. 13. 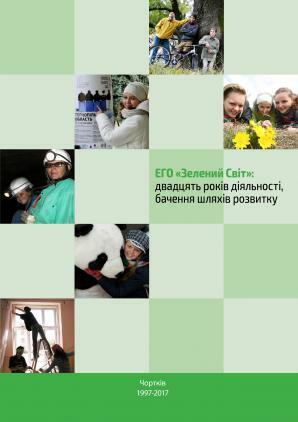 Cooperation within NGO coalitions and unions.